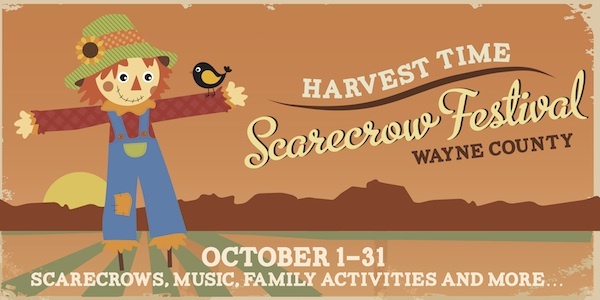 The entire month of October visitors to Wayne County Utah experience a wide range of activities associated with the Harvest Time Scarecrow Festival. The mission of the festival is to create a sustainable event that both enhances business and provides events and entertainment for the locals as well as the many visitors to this area. This is a wonderful opportunity for the entire county to work together. To learn more about the event, go to Harvest Time Scarecrow Festival. 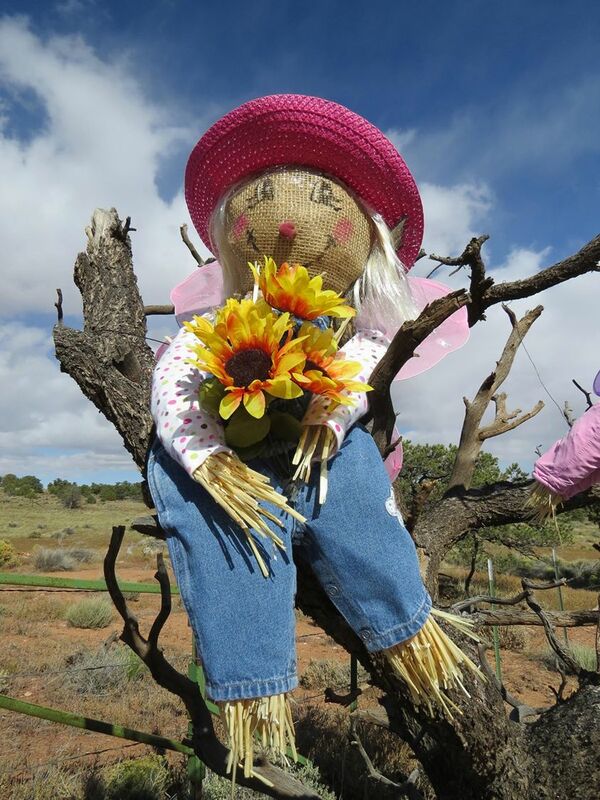 Colorful, funny, scary and creative scarecrows begin popping up throughout Wayne County from Loa to Hanksville the first week in October. Local businesses, individual families, as well as organizations including Capitol Reef National Park have participated in this growing event. Historically, each community in the county has operated very independently. There is a need to promote a positive relationship among these rural communities to create synergy and economic development for the entire county. In addition to a county-wide scarecrow competition, the festival includes numerous family events including arts and crafts, pumpkin carving contests, vendors, and much more. The festival culminates with the annual Halloween family and community party at the Rim Rock Restaurant in Torrey. The party marks the conclusion of the tourist season in the area.